Vicky Harris, a UK-based body modifier performed ear scalpelling on her friend and the whole thing got filmed for the ‘Bodyshockers‘ show. What is this show focused on? ‘on the extreme, gruesome and terrifying culture of body modification.’ As if face lifting, liposuction, breast implants and botoxing everything possible wasn’t gruesome, huh? One must just love one-sided perspectives. Ms. Harris looks wonderful, tho! 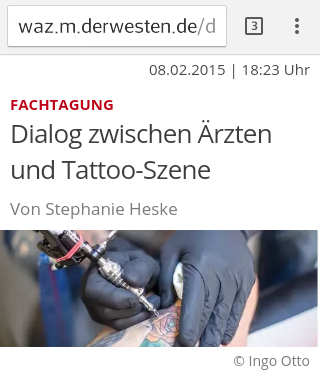 A broader view is possible how this article about some possible cooperation between doctors and tattoo artists suggests! Tattoos and narcissism? Why not but it also way more; just like pretty much everything else. Let’s think outside the box! 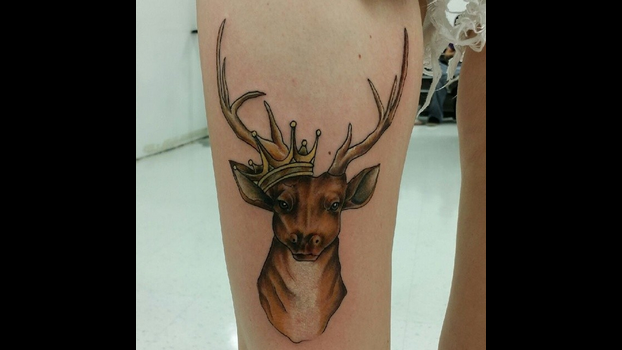 It’s both funny and some food for thought – how a tattoo shop got judgemental about someone’s tattoo choice. 12 things you should know about foot tattoos – not bad writing and some cool GIFs. body mods have been and still ‘R us! Oetzi craze is still going strong but another ancient star is emerging – Ukok who’s been alive 2,500 years ago. 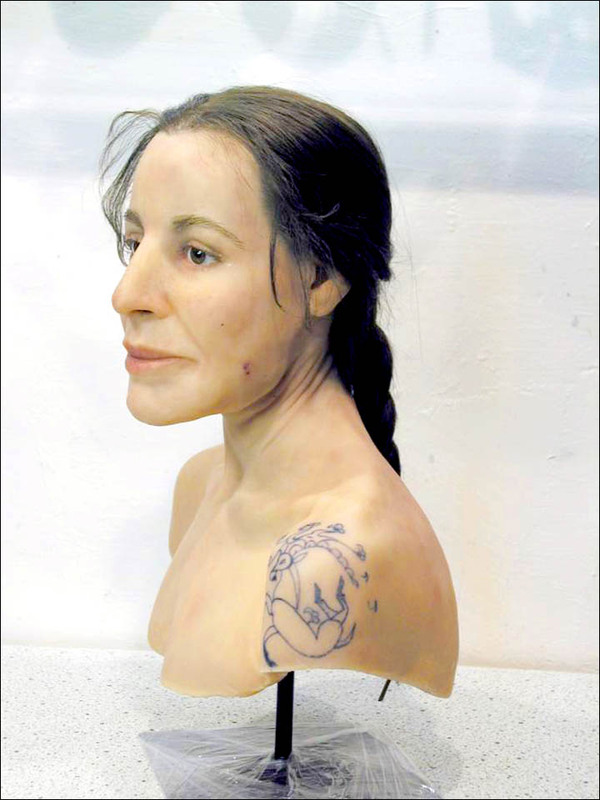 She was tattooed, apparently quite special and now her face was reconstructed! Using this occasion, let me also remind all of us about other interesting examples of the very old human love for body modification – a woman from 1,300 years ago and the Wari culture from South America (700-1000 AD) whose preserved artifacts show that the Wari people stretched their ears. And now for something entirely different but from a land where the time seems to be passing very slow: tattoos in north Korea! 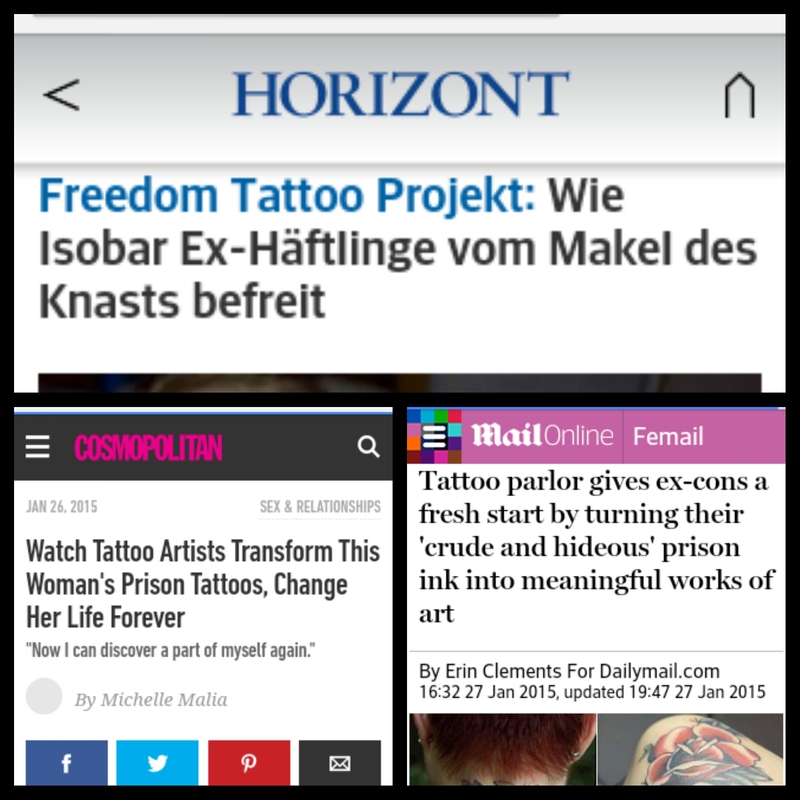 The Freedom Tattoos project from Poland hit also German headlines which is quite cool! The Huff Post published a pretty interesting article discussing the journey of the tattoo phenomenon from subculture to pop culture. You can agree with or argue their points. Ear stretching seems to be on a similar path altho it’s hard to say if it will ever grow as popular as tattoos. a nice slide show of fantasy tattoos from Germany. The real world, however, is not a fantasy land, so no wonder that some of us need to accomodate our looks to others’ expectations: ear lobe reconstruction, sad but true! Making rounds on the Internet – a young German Guy with quite heavy modifications! 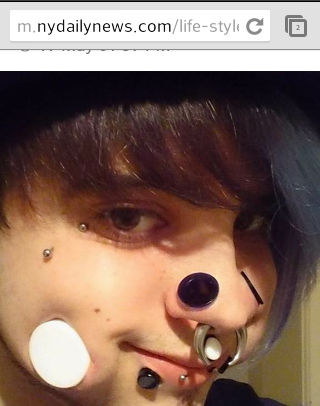 And even if the split tongues are *nothing new,* his cheek piercings are still both impressive and unusual. His body, his choice! 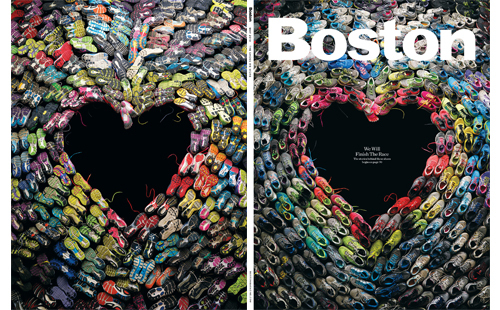 There are always, however, people (read: journalists?) 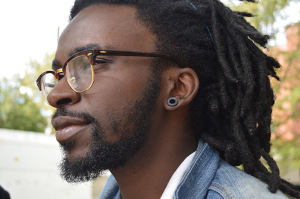 who just love to remind you about the future and possible regrets, so here we have an article about ‘temporary fad’ and tackling its consequences – stretched lobes. An interesting article about tattooed women from Ireland reminded me of the book ‘Tattooed Lady,’ which is a great read! Just for the balance’s sake here’s an article also from Ireland about employers being very wary to hire tattooed people! Just a few months ago I’d have said that it’s all about who you are, not how you look but now I’m bitterer and wiser! Zombie Boy is going to visit Switzerland soon as a DJ. Dermatography courtesy of Ariana Page Russel! Giger as a guilt-free pleasure. Wherever he is now, I hope he has his own pleasures to his dark heart’s delight! 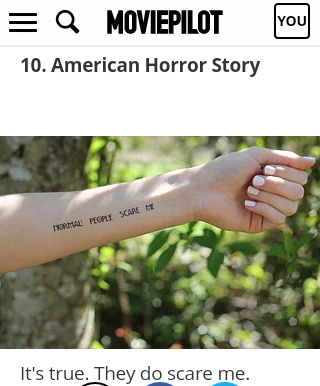 ‘Tattoos are for idiots’ text (as it’s hard to call it a decent article) is worth reading for comments’ worth mainly as it shows how something so seemingly common and so really ingrained in human culture as tattoos is still able to excite people. Seeing how the text was signed by one Joe Soap, maybe it’s more about provocation and some s%&t stirring than anything else but, sadly, opinions like the ones expressed here are not uncommon. An interesting voice in this discussion could be added by an American senior from OH who claims that ‘tattoos are opposed by Scripture’ and tries to convince us that there’s a way to deal with this evil: ‘Otherwise-beautiful people are ruining their appearances with tattoos and piercings. It is nauseating to look at a food server with a pierced tongue and/or multiple tattoos. We can fix that ourselves, by not going to those restaurants.’ Religious tattoos are also a big no-no which must be a big news for these guys here. 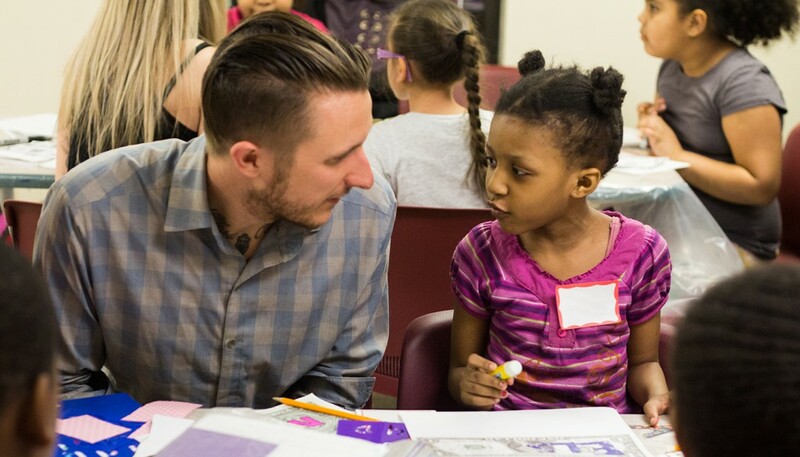 Hopefully the OH senior didn’t read this article about a tattoo artist Scott Campbell who took part in a very interesting art project involving tattoos, teenagers and volunteers ready to believe in the kids’ abilities and potential. As Scott Campbell put it, “The volunteer promises, from that day onward, even if they never see or speak to each other again, to always look at that tattoo [designed by the teens and tattooed on the volunteers] and believe in that kid.” Here’s Scott Campbell talking about the project! Unusual? Certainly! Creative? Sure enough. Evil? Hell no! Two other, less known but still interesting tattoo artists: Big Sleeps, an expert on Cholo lettering, and a CO-based Brian Thurow. For everyone judging you by the way you look only, there’s an article about Muslim immigrants in Greece to read – their pain and hard life lessons are obvious in the article. Ear-lobe reconstruction – an article and a video from Canada; in case you’d ever be interested in it. Full Moon Tattoo Festival combines two things many tattooed people are into – tattoos and horror flicks. It’s certainly an interesting event and the guest list for this year’s edition of the festival looked very interesting. A really interesting interview with the author of the “Grandma’s tattoos’ documentary in one of the Polish newspapers. It’s def. worth reading although it seems that it’s not available online yet (all I’ve found so far is this short text from last year). The documentary was screened in Egypt recently. Islamic women and body piercing. It def/ made the headlines – what Obama would do if his daughters got tattoos. Ear lobe reconstruction! As a bonus, an interview with Steve Truitt, one of the leading body modifiers, who talks why and how with quite annoying a radio host! At first it seems like a great opportunity but it might not be such a good idea after all – ‘all you can sit’ special at one of the tattoo shops in CT, USA (the shop’s website here). A few pictures from Wroclaw Tattoo Konwent. One of these good newsfeed days when more than just a few links proved to be interesting! Let’s start with some history: ‘a secret story of women and tattoos’ focuses on such women as Nora Hilderbrandt, Betty Broadbent and others. 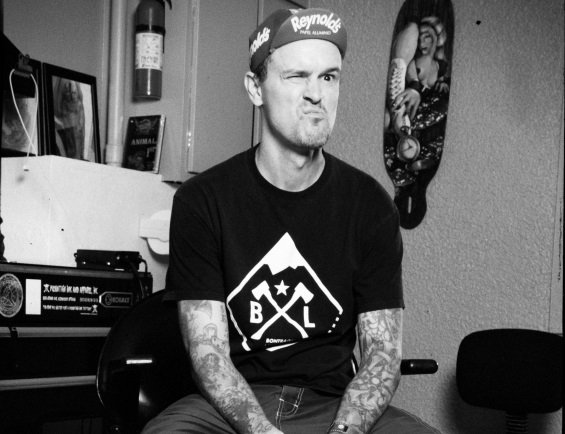 From Germany an interview with an iconic figure of the tattoo scene, Henk schiffmacher. 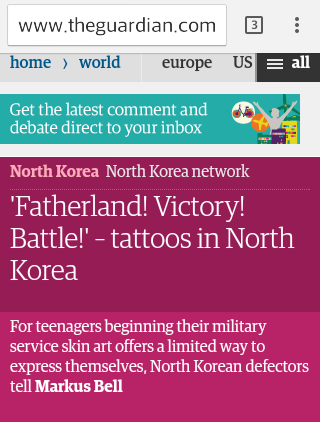 Very odd news from Russia: Russian soldiers are encouraged to look for intimate tattoos on each other. Definitely interesting: ‘sociologists find similarities in meanings behind protestant work ethics and modern religious tattoos’! 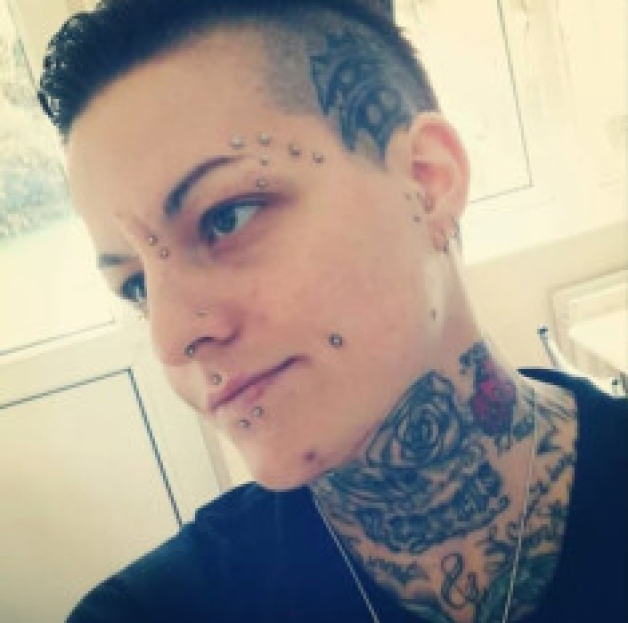 ‘Do tattoos hurt job seekers?’ from NC and another about ear stretching with some comments pointing out that sooner or later those into ear stretching now will regret it later down the road. A book focused on Stockholm straight from the Millennium Trilogy (with tattoo parlors covered, too). A short video of Matt Gone at Venezuela Tattoo Expo (a short slide show here). And finally an interesting interview with the actress playing the main character in ‘American Mary’ (should I watch this movie???) where she states an interesting thing: The body modification people in this film are the most normal, well-adjusted, happy people, whereas the other people who are socially accepted and are idolised like doctors, surgeons, they’re the most fucked up.